Kernel characteristics, particularly kernel weight, kernel size, and grain protein content, are important components of grain yield and quality in wheat. Development of high performing wheat cultivars, with high grain yield and quality, is a major focus in wheat breeding programs worldwide. Here, we report chromosome regions harboring genes that influence kernel weight, kernel diameter, kernel size distribution, grain protein content, and grain yield in hard red spring wheat breeding lines adapted to the Upper Midwest region of the United States. A genetic linkage map composed of 531 SSR and DArT marker loci spanned a distance of 2,505 cM, covering all 21 chromosomes of wheat. Stable QTL clusters influencing kernel weight, kernel diameter, and kernel size distribution were identified on chromosomes 2A, 5B, and 7A. Phenotypic variation explained by individual QTL at these clusters varied from 5 to 20% depending on the trait. A QTL region on chromosome 2B confers an undesirable pleiotropic effect or a repulsion linkage between grain yield (LOD = 6.7; R 2 = 18%) and grain protein content (LOD = 6.2; R 2 = 13.3%). However, several grain protein and grain yield QTL independent of each other were also identified. Because some of the QTL identified in this study were consistent across environments, DNA markers will provide an opportunity for increasing the frequency of desirable alleles through marker-assisted selection. The online version of this article (doi: 10.1007/s00122-010-1343-4) contains supplementary material, which is available to authorized users. The authors gratefully acknowledge financial support from the Minnesota Annual Conference of the United Methodist Church, the Compton International fellowship, National Research Foundation of South Africa, Department of Science and Technology of South Africa, Agricultural Research Council of South Africa, the United State Department of Agriculture-Agricultural Research Service, and the USDA Cooperative Research, Education and Extension Service, Coordinated Agricultural Project grant number 2006-55606-16629. 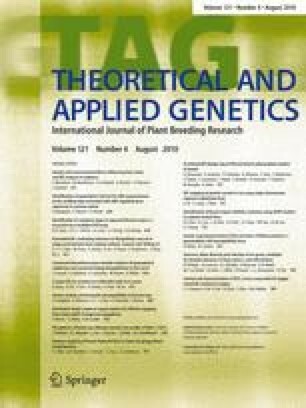 The authors would like to thank the University of Minnesota wheat breeding scientists, Gary Linkert and Catherine Springer, and the USDA/ARS personnel, Dale Hanson, Dehdra Puhr, and Jadene Wear, for their technical assistance.